As the first girl to be born into the Nachimanda family in over thirty-five years, the beautiful Devi is the object of adoration of her entire family. Spirited and strong-willed, she befriends the shy Devanna, a young boy whose mother has died in tragic circumstances. Together they grow up amidst the luscious jungles, rolling hills, and coffee plantations of Coorg in Southern India; cocooned by an extended family whose roots to this beautiful land can be traced for centuries. Their futures seem inevitably linked, but everything changes when, one night, they attend a "tiger wedding." It is there that Devi gets her first glimpse of Machu, the celebrated tiger killer and a hunter of great repute. Although she is still a child and Machu is a man, Devi vows to marry him one day. It is this love that will gradually drive a wedge between Devi and Devanna, sowing the seed of a devastating tragedy that will change the fate of all three --- an event that has unforeseen and far-reaching consequences for generations to come. Propelled by romance, colored by loss, enriched by authentic details, Tiger Hills is both the saga of a people, and a land and the equally moving story of an inimitable woman and the two men who love her. (Reviewed by Norah Piehl). Sumptuously lyrical prose unfurls this utterly engrossing epic tale that'll seduce you from page one and hold you in its arms, breathless until the last word. This book is a staggering achievement, especially as it's a first novel...Sarita is a major new talent. If the summer requires a must-read blockbuster, this debut should fill the beach-bag nicely. Tragic in parts but ultimately a beautifully written saga, this is the emergence of a major new talent. Mandanna's sweeping saga is ambitious, engaging, and relentlessly tragic. Beautiful prose and delicate handling prevent this melodrama from becoming maudlin. Starred Review. Set in Southern India at the end of the nineteenth century, Mandanna's magnificent debut follows the fortunes of two childhood friends throughout their lives...It is impossible to stop reading Mandanna's spellbinding epic. A great read that will have many points of discussion for any book group; highly recommended. "Dizzying" and "glorious" are the words Sarita Mandanna first uses to describe the Indian district that is her birthplace and the setting for Tiger Hills. 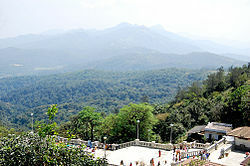 Now known primarily as Kodagu rather than the anglicized name, "Coorg," used in the novel, the district has long been known, as Mandanna notes, as "The Scotland of India" by the many white inhabitants who have come to the area since the early nineteenth century, in large part to profit from its wealth of natural resources.